Ski Season jobs in New Zealand! Are you an experienced ski bum chasing winter to the Southern Hemisphere, a mild ski bum curious to see what a New Zealand ski season is like, or new to this whole winter season thing and looking for a completely new and exciting experience? Then you’ll fit in very well in a New Zealand ski field. So what is it like to work on a New Zealand ski field? There are 24 ski areas in New Zealand, not including the heliski and indoor slope options, in search for winter staff every year. As the ski season duration is just four months, it’s the ideal job for those backpacking in New Zealand during the winter or on their gap year. That’s June to September in the South Island and July to October in the North Island. So, what can you expect from ski field terrain and facilities in New Zealand? What are the jobs, the perks, the hours and the wages? Where will you live for the winter? So many questions! If you want to do a ski season in New Zealand, then it goes without saying it’s pretty important to see where you will fit in work-wise. Where can you apply your skills and is there room for you to gain new ones? For sure, a job on a ski field will be unlike any job you do elsewhere! Make an informed decision by checking out our What is the Right New Zealand Ski Field Job for You. Advertising on their websites and on job listings like ours, ski field and club fields will begin their search between January and March for their new winter season staff starting in June. For more information on every ski field, check out The 24 Ski Fields in New Zealand. Let’s talk about the most important thing first! You’re spending a season on a ski field to ski and snowboard, right? So make sure that the New Zealand skiing and riding experience is right for you. It can’t be denied that New Zealand’s ski fields have something special about them. In true Kiwi style there is a relaxed community feel and even more so if you are working on them. For instance, expect to get to know many random people’s life stories within the 5-10 minute chairlift ride always concluding with: “Enjoy the rest of your day/weekend/holiday/life,” as you part ways at the top. If you are coming from the huge ski resorts in Europe, Canada or the US, then it might come as quite a shock when the largest ski field in New Zealand, Whakapapa on Mt Ruapehu, is only around 400 hectares. This, coupled with the limited lift facilities – the bigger commercial ski fields have an average of four chair lifts while other ski fields are facilitated with T-bars, rope tows, poma tows and nutcrackers – means that working for a whole season on one ski field forces you to explore more of the area. It’s not uncommon to go on a bit of a hike to find fresh powder or new terrain. In fact, it can feel more rewarding discovering new places that most ski field holidaymakers would never find themselves. When you’re not improving your riding technique and have a casual ski with workmates, there’s usually some top-class park features to try. The quality of these differ from ski field to ski field. In the smaller club fields, there might be some natural features put together, while some places go all-out with the half pipe, rails, kickers, boxes and all that good stuff, like in the South Island fields, Cardrona and The Remarkables. Working a ski season comes with many great perks. Let’s be honest, the reason most of us backpackers want work on a ski field is because we are too much of a peasant to afford ski holidays. Most ski fields in New Zealand either offer the items below for free or at a heavily discounted price. If they don’t, then the job is most probably not worth it. Let’s make one thing clear: you are not going to earn your fortunes working on a ski field. Your incentive to work on a ski area should be for the lifestyle, not the money. And with that, you will have a super fun lifestyle! Wages differ depending on what position you do on the mountain. Most workers will get around the New Zealand minimum wage. Higher wages are offered to managerial and supervisor roles, ski instructors, ski patrol and groomers. However, workers on the minimum wage are likely to find themselves working more hours than ski instructors, for example, so keep this in mind. Obviously, working on a ski field is a weather-dependent job. This means that despite the snowmakers working hard before the “official” ski season starts, the ski field cannot open until there is enough of a snow base. Recent years have found seasons starting a week or two later than the projected opening date, meaning ski field jobs are likely to be on-hold to start with. In that case, it’s best to arrive at your ski season destination with enough money to live with for 2-3 weeks, just as a back-up, before you start getting paid. The hours that you work on the mountain should be negotiated in the job interview, whether you work full-time or part-time. However, less hours might be worked when the bad weather hits! How often this occurs depends on what ski field you work on. Sheltered ski areas rarely have “closed days” while isolated and exposed mountains can get a beating weekly. Despite opening hours for New Zealand ski fields being 8/9am to 4pm, work is done before, during and after those times, including night shifts for the groomers and snowmakers. Hours can range between 8-11 hours per day. This is the thing that can make a ski season experience differ so much from one New Zealand ski field to the next. While some fields are very isolated, others are close by to vibrant towns and cities. For those isolated ski fields, they are likely to be close to a small village or township holding staff accommodation or independent accommodation. Because ski fields are touristy areas, you’re likely to find hostel, hotel, motel and lodge accommodation nearby. 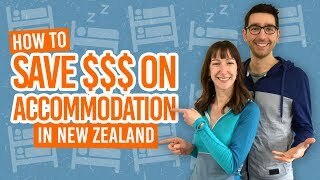 Some of these accommodation providers take in ski field staff, with the possibility to work for accommodation or in exchange for money off rent. Ski fields near larger towns and cities, like Queenstown, Wanaka, Ohakune and Methven, have a lot more houses and rooms to rent. It’s common to arrive in a town and stay in a hostel as you search for a place to live for the season. It’s almost worth getting to Queenstown and Wanaka a week or two before you’re due to start work, because accommodation gets snatched up quickly in these popular ski towns! Lastly, you can check to see if your ski resort has any club accommodation on the mountain. The New Zealand ski community thrives off ski clubs, many of which have their own mountain lodges for members, especially on club fields. Some of which need people to work in the lodge on an evening, for example cooking and housekeeping. This can be a great money-saving option and is convenient for getting the first tracks of the day! Just one more ski field perk! Every year, seasonal workers are employed to work on ski fields – some fresh-faced new workers and some returning staff. And every year, they are here to make the most of New Zealand’s stunning snowy environments and shred some powder (and spring slush). It’s a social gig, meaning you’ll be surrounded by heaps of like-minded people with a love for snow. Like-minded, but coming from a variety of backgrounds and cultures. After spending a whole season working, living and partying together, you’ll make friends for life. That could just be the best perk of working on a ski field.